Did your doctor fail to live up to his or her duty of care? Establish that the doctor owed you a duty of care. This is the basic underpinning of a doctor-patient relationship. If you were in that physician’s care, the doctor’s duty is the same as might be expected of any other doctor in the same geographic area, in a similar specialty with a similar educational background. Was there a breach of duty? Medical malpractice involves an injury brought about by a breach in the duty of care that a doctor or another medical professional owes their patient. A glaring example might be if the doctor sewed you up with a medical tool left inside of your body, but a less obvious one might be misdiagnosing you and treating a disease that you do not have while neglecting to treat the one they failed to diagnose. Was there an injury caused by the breach? In the case of the doctor leaving a medical implement inside of a patient’s body, it could cause pain, infection, perforated organs, infection and a host of other problems. You would have to be able to draw a direct line of causation between the injury and the breach, which in some cases is obvious and in others can be quite complicated. The medical evidence must present a compelling case. You will need credentialed medical experts who are willing to testify and thorough medical records that document the extent of the medical error and the injuries it caused you. If you don’t know what kind of evidence you need, your medical malpractice lawyer will. You must make your claim against the correct person or entity. 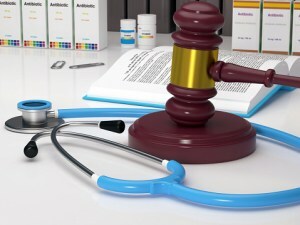 In some cases, you would sue the doctor directly, but in other cases you might sue the hospital or health care system. In Washington, D.C. you have three years from the date of injury to file a medical malpractice lawsuit. 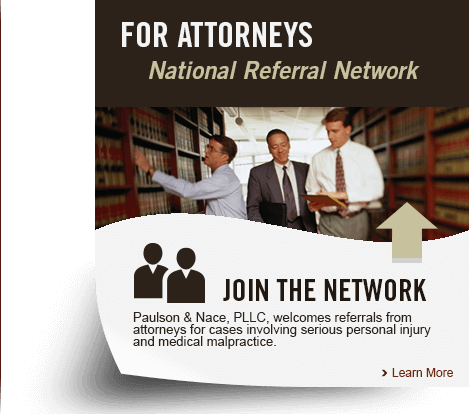 You must make sure that you take action immediately when you have been injured at the hands of a trusted physician or another medical care provider. The Avery Index estimates that Washington, D.C. has the highest concentration of lawyers in the United States, with about 276 lawyers per 10,000 residents. Most are smart and capable. However, when the stakes are high and you are contemplating waging a legal battle to obtain justice when you have been harmed by a medical professional, you want an attorney who has tried cases before and knows what it takes to win. When you have decided to go all in and file a lawsuit, your choice of legal counsel will have a significant impact on your chances of success. Medical malpractice cases are labor intensive and expensive. You can improve your chances of prevailing when you choose the right lawyer for your needs.